Basically, a legit payment gateway provider is a software solution that handles credit card payments for online and traditional sellers. The payment process is done by transferring data from payment portals like web-based mobile devices or websites to banks. A payment gateway’s key function is to authorize transactions between sellers and customers. It is also capable of processing payment through debit cards and eChecks. Payment gateways transmit transaction information to acquiring banks, which in turn authorizes or decline such transactions. In a nutshell, payment gateways aids in the communication between banks and sellers. The software performs a number of tasks from the moment a customer places an order online. It first encrypts bank account information that would be sent to the vendor. This transaction data are then sent to the payment processor that the acquiring bank uses. Upon receipt of the encrypted data the payment processor sends it to a card association for authorization. Ultimately, the bank is responsible for authorizing or declining such request. Once approved, the processor sends the authorization to the payment gateway, which transmits it to the interface for processing, after which the merchant fills the order. These functions make the software an indispensable part of eCommerce as it helps online sellers. Payment gateway providers also offer bundled services, which may include payment acceptance, data reporting and fraud management. Meanwhile, the market legit payment gateway providers in the USA is expected to grow to a whopping $17.5 billion by the year 2020. A significant increase in online shopping is expected to drive the sector’s growth. Merchants and consumers’ shift to digital channels has also been fueling the market’s growth with consumer spending on such channels expected to surge. Aside from the comforts that payment gateway providers give, there are far more benefits that both online sellers and customers can enjoy. Transaction security: Payment gateways see to it that all Internet transactions are secure, which means that merchants should no longer be wary of credit card scams and other fraudulent activities. The software commonly uses 128 bit, SSL industry standard encryption systems, which are virtually unhackable. Software bundles: Payment gateways are never alone. To further improve services, they are always integrated with a shopping cart solution, which is an important tool for online sellers. Such software allows shoppers to choose items at a click of a mouse. The cart calculates the total value of the purchase, including tax and shipping fees, eliminating the need for the merchant to be present during such transactions. Expanded customer base: With the use of payment gateway services, customers around the world are given access to online sellers, effectively increasing customer base. Eliminates store space and other costs: Unlike brick-and-mortar stores, online sellers no longer require store space or hire sales clerks, which entail additional costs for businesses. Error-free and faster transactions: As the platform automates the whole payment process, error-free computations and faster processing are ensured. Shoppers no longer have to endure long lines just to pay for their purchases as a few clicks of a mouse can complete the entire transaction. Comfort: Online transactions eliminate the need to deal with the hassles of going out to shop. Purchases can be made wherever there is a computer or mobile device with an Internet connection. Convenience: Online stores never sleep, they can be accessed 24/7. Being so, shoppers can make purchases even at odd hours. Safety: With the proliferation of credit card fraud in the Internet, payment gateway services helps allay consumer fears by ensuring safe transactions. Customers can shop online knowing that their personal information are safe and that they need not fear threats from hacking, phishing or identity theft. Multiple payment options: This functionality improves online sellers’ handling of different tasks and better address their customers’ needs. It also enables clients to pay through other payment gateways of their choice. Customer support teams: Payment gateways also ensure that excellent customer support teams are on standby to handle client inquiries and concerns. This will result in a remarkable improvement in a business’ image and service quality. These support teams are available 24/7, making clients feel important, boosting customer loyalty in the process. Fraud prevention: Credit, debit and screen fraud can be easily tracked using the software, payment gateways reduce their incidence and protects online sellers from suspicious transactions and huge charge back costs. With this functionality, merchants are also alerted to fraudulent transactions. Secure servers: To better protect customer information, payment gateways are hosted on secured servers. This is seen to improve service efficiency and customer requirements. It could also foster business growth. Free add-ons: Payment gateway services are accompanied by free add-ons to help make online transactions even easier. Eliminating the need to pay in individual fees helps users save on costs. Examples of such add-ons include shopping carts, virtual terminals and quickbooks. User-friendly and faster transactions: Perhaps among the most important features of a legit payment gateway provider is its ease of use and ability to speed up transactions. These features help save both customers and online sellers’ precious time. They likewise make online sellers’ businesses easier to operate. Truly, the use of a good payment gateway in online businesses will not only improve the payment process. it will also boost business credibility and reputation, which leads to increased sales and good customer relationships. Stripe is a smart payment gateway solution that securely provide payments backed by highly scalable infrastructure. It is built from the ground up for redundancy, security and velocity. Providing global reach with one integration, Stripe lets you sidestep the integration costs of going global with its unified API that makes account setup consistent worldwide so you can access Stripe’s local processing capabilities. If you want to try the solution it is fast and easy; simply contact Stripe here and you’ll be walked through the actual features. Stripe allows scalability through a cloud-based infrastructure, removing the complexity of financial operations in online commerce by making the most of the platform to work with financial institutions, banks, payment networks, regulators, and consumer wallets in place of your business. It offers popular and local payment methods around the world with the Sources platform, a unified API for accepting any supported payment method with a single integration. With Sources there’s no one-off integrations or separate processes required. Plus benefit from unified monitoring, reporting and payouts. Deemed as the best among legit payment gateway providers in the USA, Paypal Payments Pro enables online sellers to accept credit card payments and handle mobile and retail credit cards as well. Users are allowed to come up with their own checkout pages, giving them absolute control over transactions. What’s good about this solution is that it does not require buyers to have a PayPal account to make purchases. The platform allows users to process credit card payments through phone, fax and mail in the form of a virtual terminal. PayPal Payments Pro is so flexible that payments are accepted via credit and debit cards, rewards and PayPal credit. It is configurable to suit every online sellers’ needs. The solution integrates with all major shopping carts in the market, further facilitating ease-of-use. 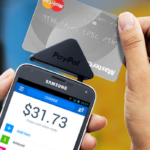 PayPal Payments Pro is also inexpensive, charging but a flat rate of $2.90 and a fee of $0.30 per transaction. This pricing model is bound to benefit users with large tickets as the flat fee stays regardless what payment method is used. A popular and reputable online payment solution, Adyen offers hassle-free and streamlined payment options. The software is known for its excellent customer support and reasonably priced payment procedures and therefore suitable for small online sellers. The payment gateway’s prices are quote-based with fees largely depending on the amount being transferred. Unlike other payment gateways, Ayden responds to online shoppers’ needs with the use of mobile payment facilities. The software focuses on debit and credit card transactions in the United States, supporting payment systems such as American Express, UnionPay and Apple Pay. By making products more accessible, the solution is able to attract more customers. Timely arrival of payments is also ensured as it significantly speeds up transaction time. The software’s integration with a variety of productivity and business tools gives it functionalities that other platforms do not offer. It currently integrates with Salesforce, Ebizmarts, Navitaire and Cegid, to name a few. For developers interested in coming up with custom connections, plugins and open API data are also available. Due to its ability to cater to online shoppers all over the world, Adyen is an ideal eCommerce tool. It also allows online sellers to expand their markets using a single platform. In the US and Europe, the software is an excellent partner for handling point-of-sale payments. With this functionality, checkout queues and lost sales are no longer concerns as Adyen’s terminals are NFC enabled and contactless payments are supported. Aside from English, the solution supports languages such as Spanish, Portuguese, and French. A robust payment gateway, Amazon Payments is specifically targeted at Amazon sellers and shoppers alike. The tool comes in two packages namely: Pay With Amazon, which is for merchants and Log In and Pay, which is for shoppers. Pay With Amazon offers the ability to enrich buyers’ shopping experience. The package’s tools can help attract new clients and encourage repeat customers. It streamlines the shopping process and boosts customer loyalty through customizable recurring payments. Users can readily access their own data from sellers sites, streamlining the purchasing process. Tight security protocols ensure that information integrity remains intact. Login and Pay, on the other hand, allows for speedy checkouts on many websites and apps. Security is also a plus as seller data is stored with Amazon, accessible only through websites and apps frequently used in shopping. Sellers’ conversion rates are guaranteed to improve due to the faster checkout process.  On the customer side, cart abandonment can be reduced and customer loyalty improved. Using an Amazon account, users can transact in thousands of websites and apps without the hassles of going to the process of giving information again. One of the leading legit payment gateway providers in the USA, PayU is designed to speed up and simplify payment processes for online sellers and their customers. This is done by matching sellers’ needs with customers’ shopping and payments behaviors. The solution has over 250 payment methods, making transactions fast, simple and safe. It can be accessed on computers, mobile devices, e-wallets and even offline. PayU’s single integration platform lets businesses receive local payments in every locality where it operates. International sellers can also benefit from this feature as it lets them take payments from all 16 markets worldwide. Its support of multi-currency enable users to reach every client, with or without credit cards. This also helps in managing complications arising from local markets. Direct links with acquiring banking institutions allow for higher approval rates. The solution’s security protocols are also second to none, using an anti-fraud system backed by years of experience in fraud management. It likewise supports token payments, providing customers with a safe and fast method of online payment. An integrated global payment gateway and affiliate marketing service, BlueSnap is designed to aid businesses in payment management. It allows online sellers to accept payments from both local and international customers. This, from the safety of the platform’s security features, which can reduce fraudulent activities by up to 80%. Payments can be received from all around the world with BlueSnap’s network of acquiring banks. This feature also assures users of the highest conversion rates to boost sales. A subscription billing platform, meanwhile, generates invoices and helps find new clients. The system is essentially a payment platform, gateway and merchant account rolled into one. The setup enables users to accept payments through credit cards, provide e-wallets and get reports quickly. The software integrates with popular systems including PayPal, ApplePay, VISA and Mastercard, options which allow businesses to take payments from both local and foreign customers. BlueSnap is also capable of processing payments by phone as every terminal is equipped with a built-in console. Emails detailing products/services can also be sent out to buyers. BlueSnaps’ payment analytic tools provides for greater transparency while enabling users to gain insights into transactions. Real time sales, affiliate and revenue reports can be automatically generated for user perusal. Online payment solution WePay offers users fully-integrated payment and risk services, providing rich end-to-end user experiences. It has partnerships with thousands of payment platforms, making the payment process quick, simple and safe. As it was conceived to provide businesses with all their payment needs, businesses are given absolute control over payment transactions. The software can even customize sign-up, checkout and email communications. WePay also gets rid of third-party redirect and onboarding flows that adversely impact user adoption. Payments can be completed in a matter of seconds as there is no need to set up a gateway or undergo underwriting procedures. Risk tools, meanwhile, allow users to accept transactions that other processors are having problems with. It can also handle overhead operations, enabling users to focus on more pressing issues. The platform is capable of monitoring all payment transactions using granular data from transactional-level reporting, while its robust risk management technology can effectively prevent fraudulent payments as well as identity theft. Truly, WePay has every functionality required in payment processing in a simple-to-use and risk-free platform. Payment gateway solution Authorize.Net speeds up and secures payment transactions for both online sellers and their customers. Online transactions are routed without having to install and implement any software. The platform provides online merchants with the ability to accept payments, scalability and other value-added services. These value-added features are meant to aid online sellers in managing their business and protect them from fraud. The system likewise allows users to tweak account settings, view account statements and generate reports. Authorize.Net offers various payment options, including credit cards and electronic checks while automatically depositing funds into users’ bank accounts. This is quite useful for small and medium size businesses as it helps them save both time and money. For retail locations, users have the options of using the system’s Virtual Point of Sale or its wide array of third party POS systems. Customer orders can be taken via mail and phone, enabling buyers to submit transactions manually. This is accomplished using the platform’s virtual terminal. It is capable of mobile transactions through its proprietary mobile app or third-party software. Stores can likewise be tokenized using Authorize.Net’s Customer Information Manager, which also securely stores shoppers’ payment information. Global remittance service platform REMITR Business Payments is designed to help businesses quickly and securely send money to their workforce based in various regions while ensuring recipients get the most out of their money. To transfer money internationally, users simply need to create an account and fund their online wallet. Remittance charges vary depending on the recipient’s location, ranging from C$5 to C$10 for every transaction. REMITR Business Payments touts a blazing fast money processing, taking only a single day for US, Canada, and Europe-based transfers while those in other parts of the world takes up to 48 hours. This is a huge improvement from traditional bank transfer times, which take around five to seven banking days. 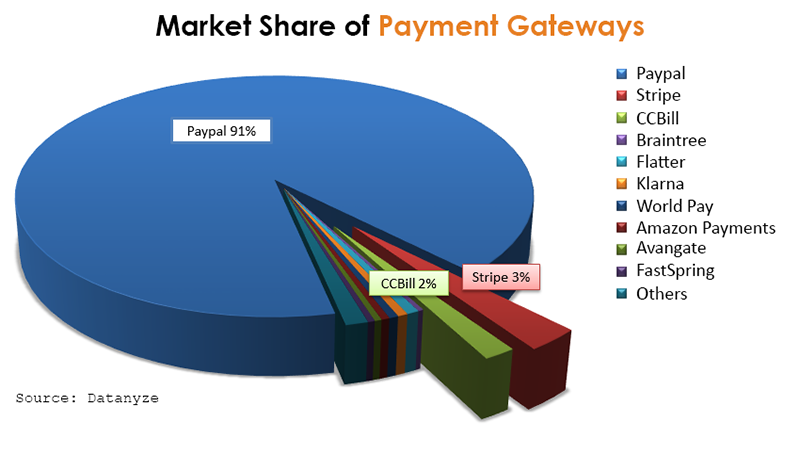 Legit payment gateways have become an integral part of eCommerce. These tools have been ensuring fast and safe payment transactions, while adding functionalities that are guaranteed to help businesses’ grow. There are a lot of these tools out there but one is bound to suit your organization. Curexe is an ideal choice for businesses that are looking to save a huge sum from foreign currency exchange and money transfers from around the world, hence, it’s one of the top choices for businesses in North America. Operational round-the-clock from Sunday to Friday, you can pay your employees located in far-away countries or international suppliers without suffering from hidden charges and outrageous fees. Being a web-based money transfer solution, you can make all transactions from the comfort of your home. Curexe has a fixed 1% fee for foreign currency exchange and 2% for online invoice payments. Meanwhile, there’s no charges at all for wire transfers. Account setup is quick and easy, only taking less than three minutes of your time. Curexe uses a secure encryption to safeguard all accounts, hence, you can rest assured that your money and sensitive information is in safe hands.